businesses that comprise the roofing industry within the US. Google US searches occur each month for roofing companies. Cardinal’s home services marketing solutions focus on getting the right customers into your business. Prospective customers need to understand the value of the services you provide and trust you’re experienced to help them with their roof repairs and replacements. You need to set yourself apart from other roofing companies by highlighting your quality of service, special features, and reputation. People rely on the internet to find reputable roofing companies. At Cardinal, our digital strategy will work to expand your web presence. 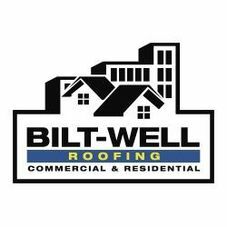 We’ll drive new customers to your business and help grow your roofing business. Leverage Cardinal’s home services marketing solutions to grow your roofing repairs and services client base. 165,000 Google searches occur for roofing contractors each year in the US. With 60 percent of all people finding their home services help online, building a highly visible web presence is critical to building business. SEO for your roofing company will help your business be found online. Cardinal’s strategic approach to search engine optimization will grow your website’s search rankings for targeted keywords and markets. We also focus on conversion optimization, which means we don’t just work to drive traffic to your site but also convert leads. Paid social allows you to advertise your roofing business and services on platforms such as Facebook. Ads can be set-up to target users based on details such as location, age, interests, and more. Think of a social ad as a digital billboard displaying to your target audience online. The roofing industry is expected to see a 4 percent growth over the next few years, making it a $10.4 billion industry. Your company keeps a solid roof over your client’s head, and having an optimized website is essential to being found online. At Cardinal, we’re experienced with designing custom websites for the home services industry. patrons trust you and are confident in the quality of services you provide.